Please follow these guidelines to find the fit that works best. To figure out your measurements, have another person assist you. Use a fabric tape measure and be sure to wear minimal clothing. Place the measuring tape around the largest part of your chest, making sure tape is horizontal all the way around. Measure around the narrowest part of your waist, making sure that the measuring tape is evenly horizontal all the way around. 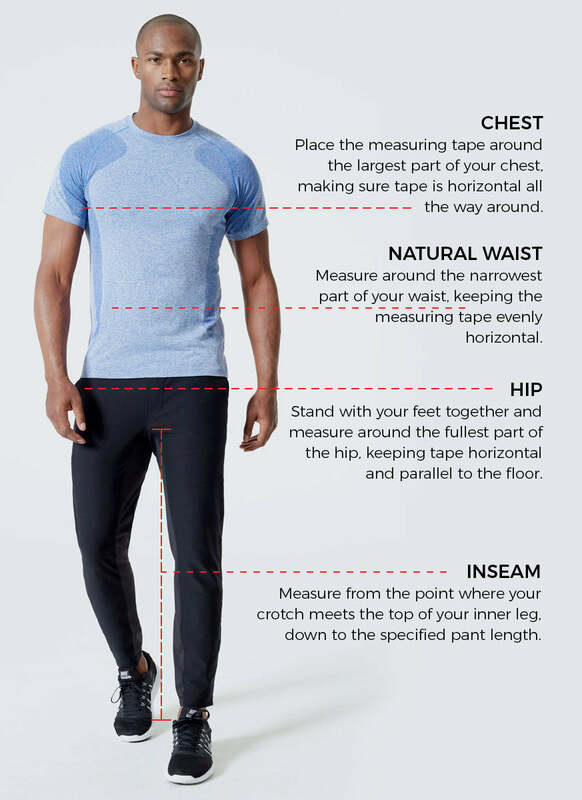 Stand with your feet together and measure around the fullest part of the hip, keeping tape horizontal and parallel to the floor. Measure from the point where your crotch meets the top of your inner leg, down to the specified pant length. 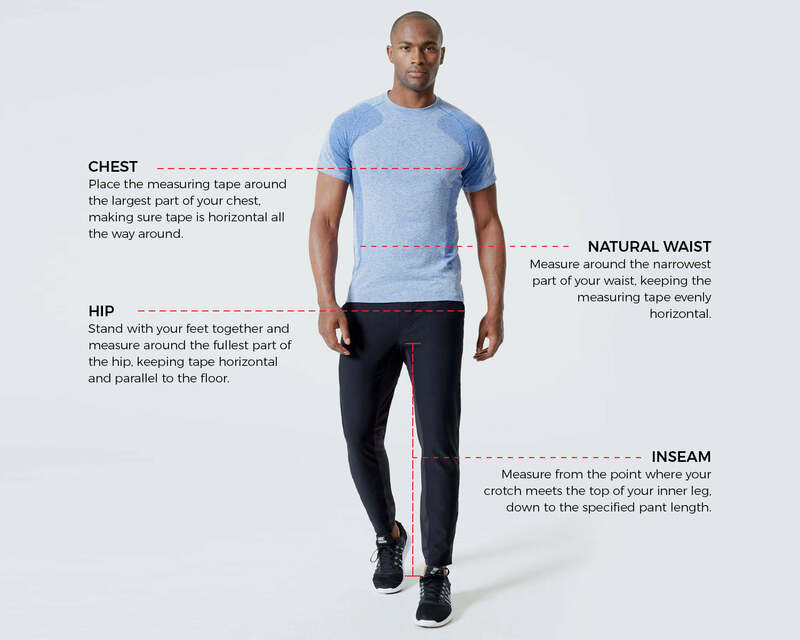 Inseam measurements vary by style, be sure to check the item description. For letter sizes — use the waist and hip measurement as a guide to help pick the right size. If you find you are between sizes, think about what activites you would be doing and order the smaller size for a tighter fit or the larger size for a looser fit. If your waist and hip measurements correspond to two different sizes, order to fit your hip measurement. For number sizes — Use your waist as a guide. Our pants should fit like your regular number sized pants, if you're a 32 in other brands you should be a 32 in our pants.